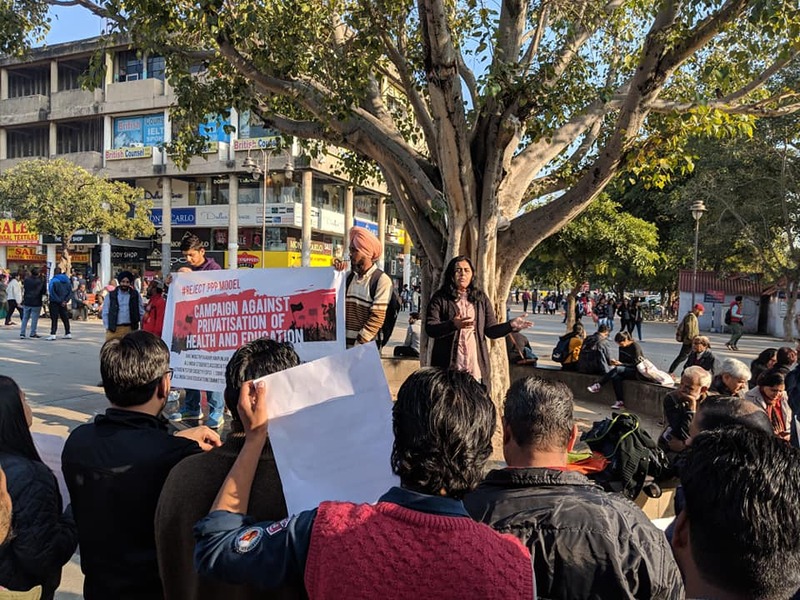 JSA Punjab organised a meeting in Chandigarh with like minded rights based groups to launch a campaign against privatisation of health services announced by the Punjab government recently. The CM and Health Minister gave vague statements in the media after opposition to the same. However, it seems that they are going to continue with the same. Today, the Chandigarh UT announced that they are mulling over a decision to privatise public schools. The campaign group, consisting of various organisations, that met today decided to join the two issues and launch a joint campaign.